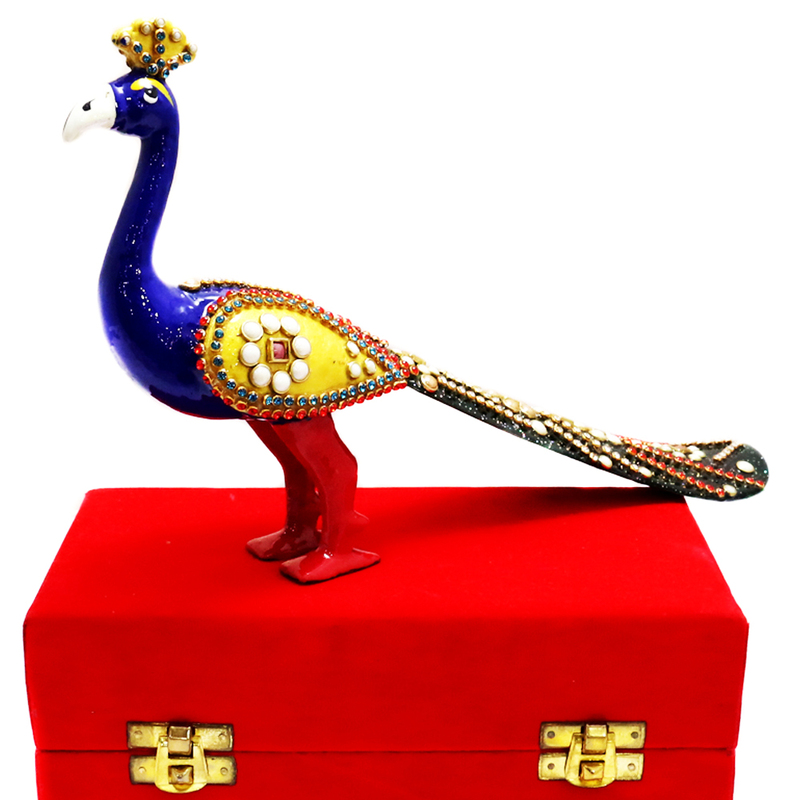 As much as pride does the peacock have, this showpiece distinctly resembles that. 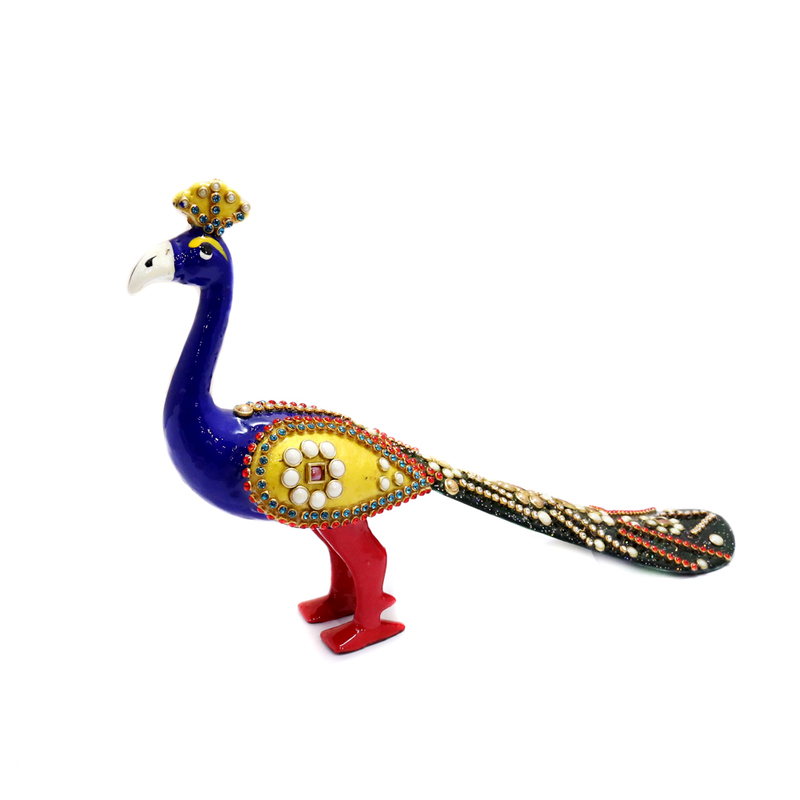 With a sturdy metal body, this showpiece has colourful meena and stone Read More..designs all over its body. It is mentioned in this showpiece, in a standing fashion. Show Less..